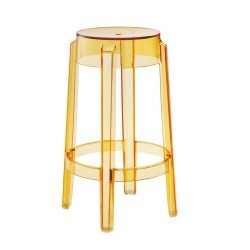 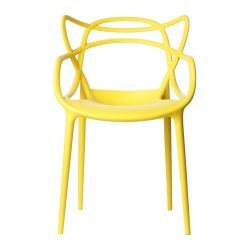 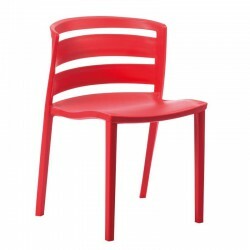 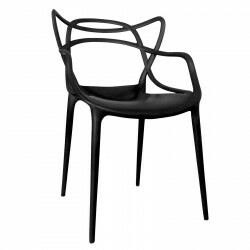 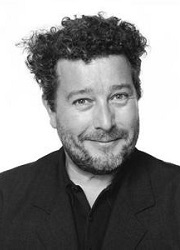 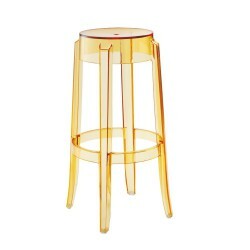 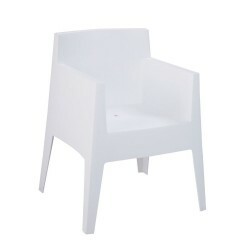 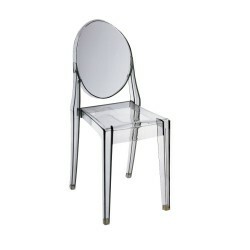 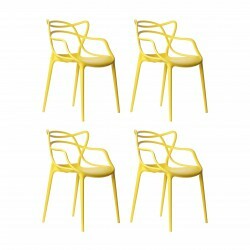 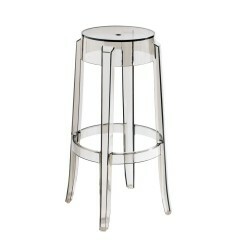 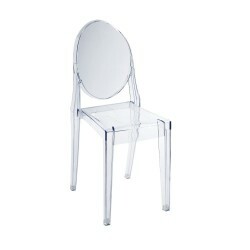 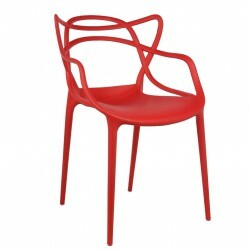 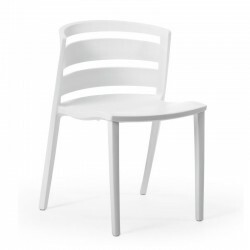 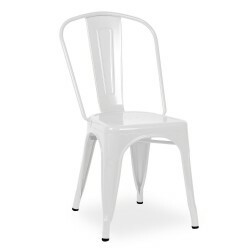 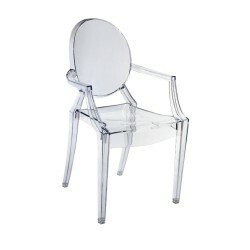 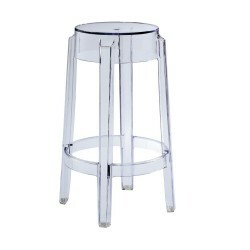 Made of batch-dyed polycarbonate, Philippe Starck Victoria Ghost Dining Chair has been featured in numerous magazines and adds elegance and lively panache to a variety of settings. 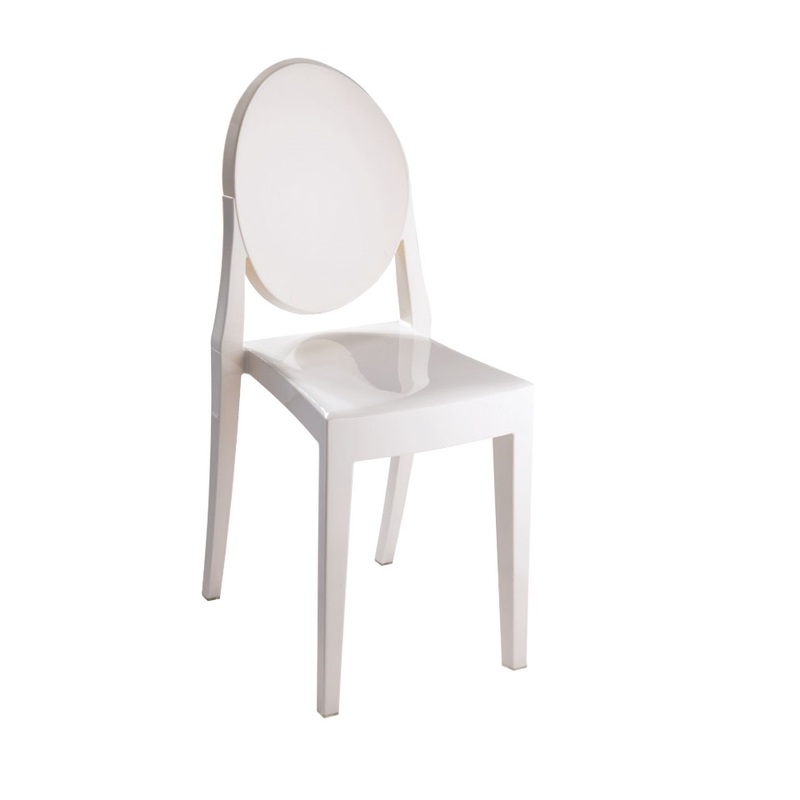 The chair is sturdy and durable even as it displays a delicate, ethereal appearance. 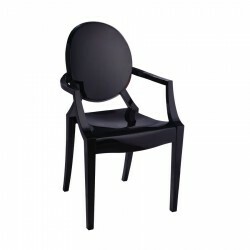 The backrest is rounded, its shape evoking of antique medallions, and the seat is linear and geometric. 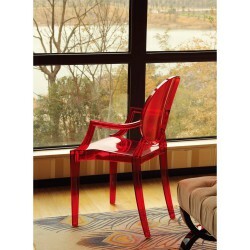 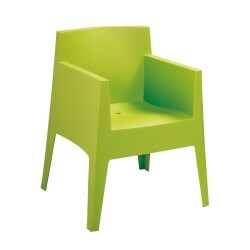 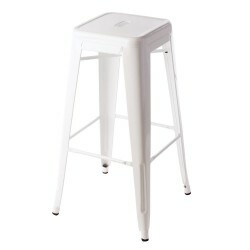 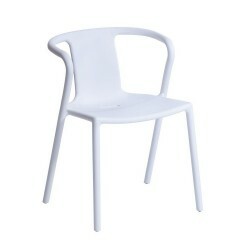 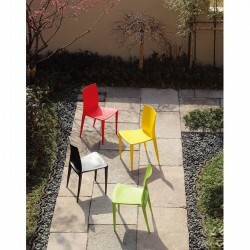 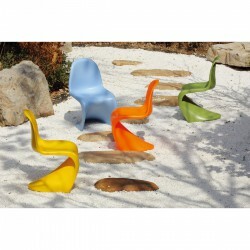 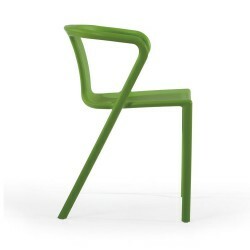 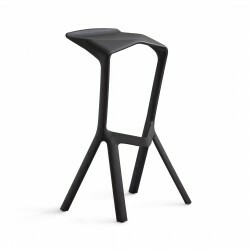 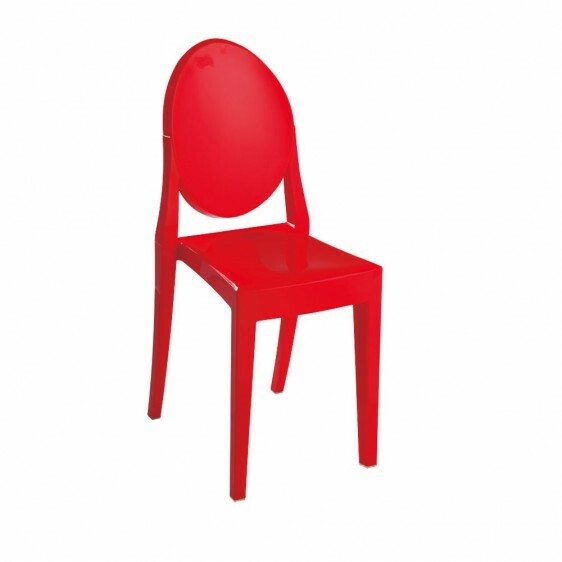 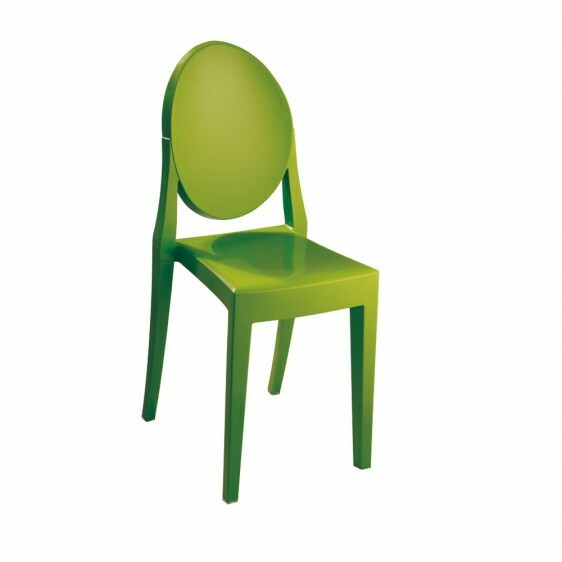 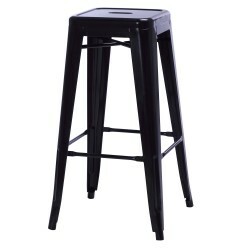 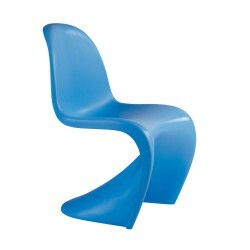 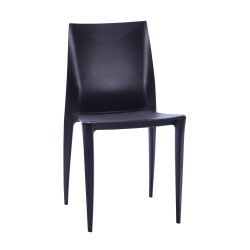 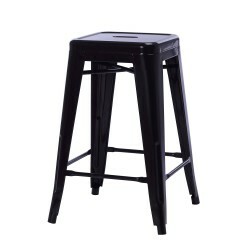 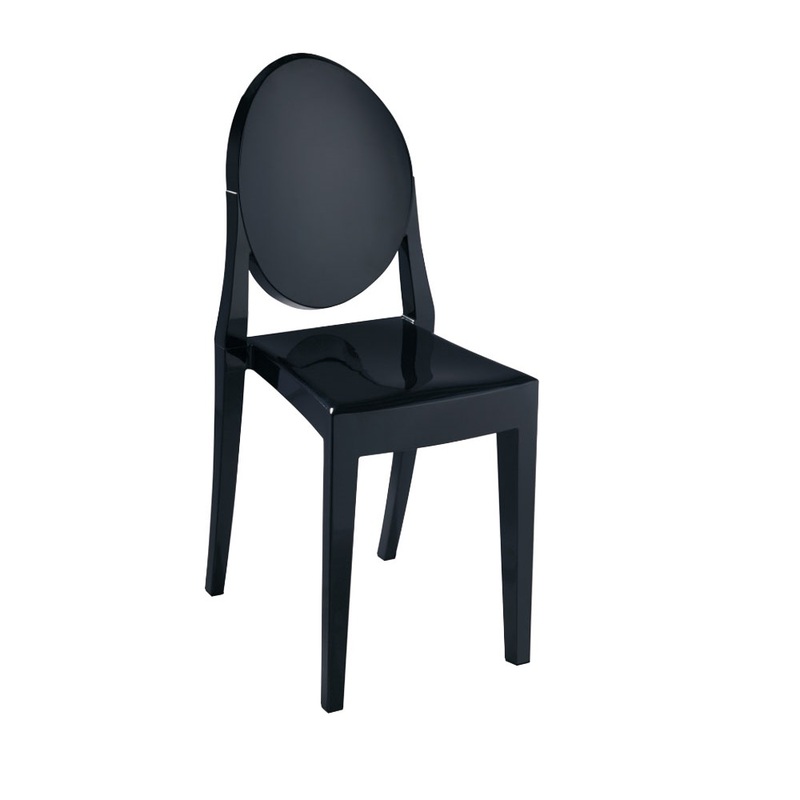 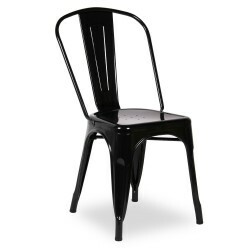 The chair is manufactured through single injection molding, it is suitable for outdoor use, stable, yet comfortable. 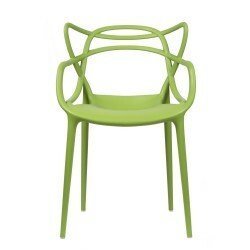 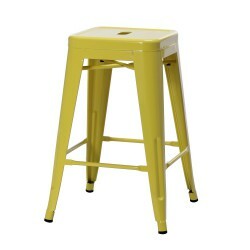 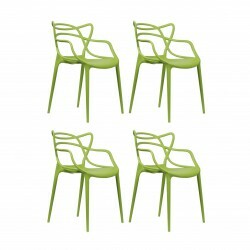 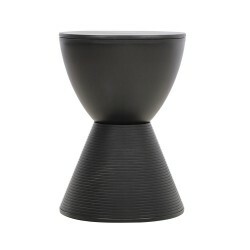 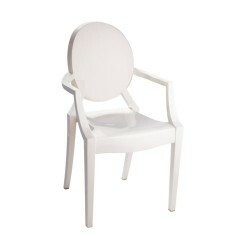 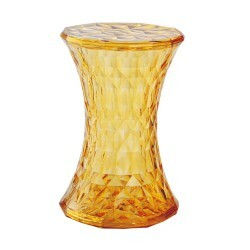 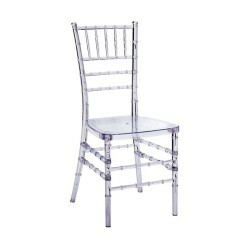 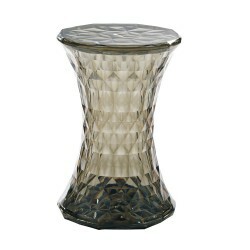 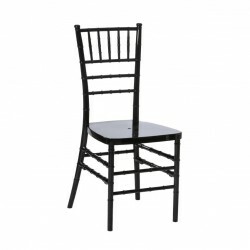 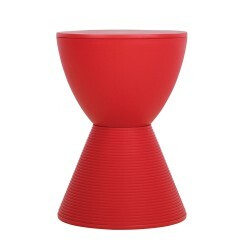 Categories: Dining Chairs, New Arrivals, Outdoor, Replica. 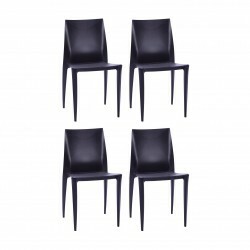 Tags: dining chair, ghost chair, place furniture, replica chair, side chair, victoria ghost chair.